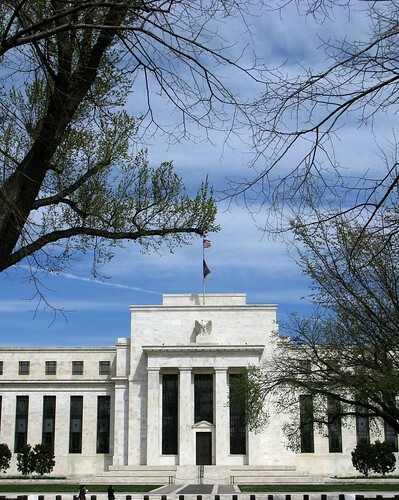 Under our country’s fragmented and complex regulatory structure, the Federal Reserve has sole authority over one important category of lenders: bank affiliates. These are companies – such as Wells Fargo Financial, CitiFinancial or Countrywide Home Loans – that are in the same corporate family as a bank but are not banks themselves. Bank affiliates were major players in the subprime mortgage lending industry, accounting for about one-eighth of all subprime loans during the peak years of 2004-2007. And yet the Fed had a deliberate hands-off policy toward these lenders, a policy that it stubbornly maintained “despite repeated urging by consumer advocates across the country and even by other government agencies.” The story is told in a must-read article by Binyamin Appelbaum in Sunday’s Washington Post. It was only in 2007, after the subprime mortgage lending industry had self-destructed, that the Fed finally reversed its policy. The Post’s article is accompanied by a well-crafted timeline that graphically shows the sequence of events. Explanatory note: The terms “affiliate” and “subsidiary” can be confusing. Parent corporations, called bank holding companies, own both banks and other companies (these other companies are imaginatively called “nonbanks”). One company owned by another is a “subsidiary”; two subsidiaries of the same parent company are “affiliates.” An example may help: CitiFinancial, a nonbank subprime lender, is an “affiliate” of Citibank; both CitiFinancial and Citibank are “subsidiaries” of Citigroup.